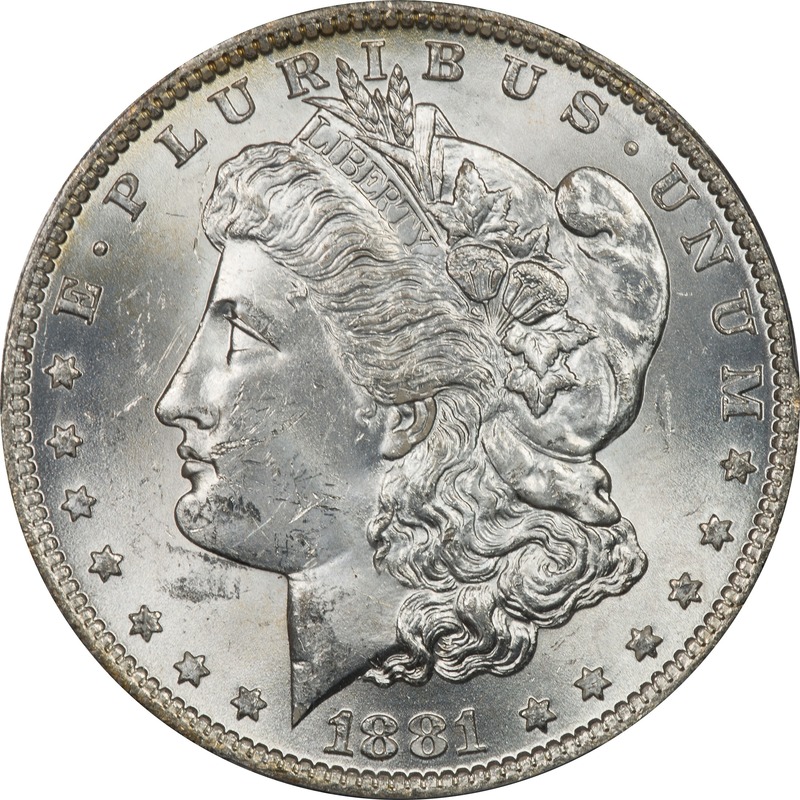 Comments: It is obviously the reverse of this coin that gathers all the attention, but the obverse is worth a little discussion. The fields are clean of any major distractions and the coin might have been a grade higher except for the damage to the cheek. There are just too many heavy bag marks to grade higher. 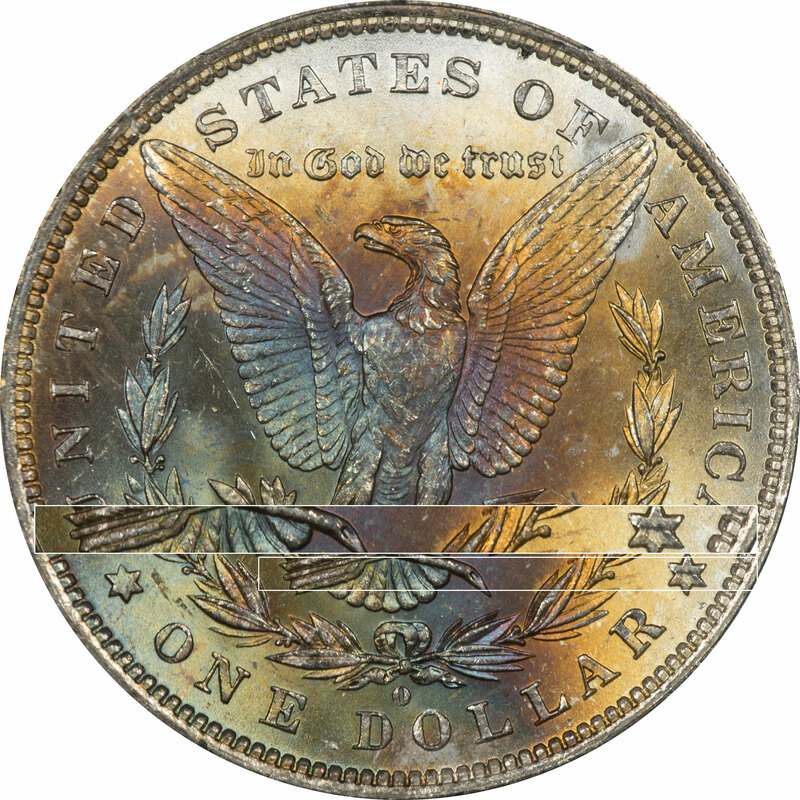 The reverse has great color and color spectrum, and is even cleaner with regard to bag marks. We would have given this coin the plus grade for sure. The color spectrum gives it style a lot of style points. The color spectrum on the reverse is not representative of bag toning. So this coin received its color after leaving the Mint. It appears that it rested against something with a square corner. The color originated on the lower left and there was less exposure on the upper right. 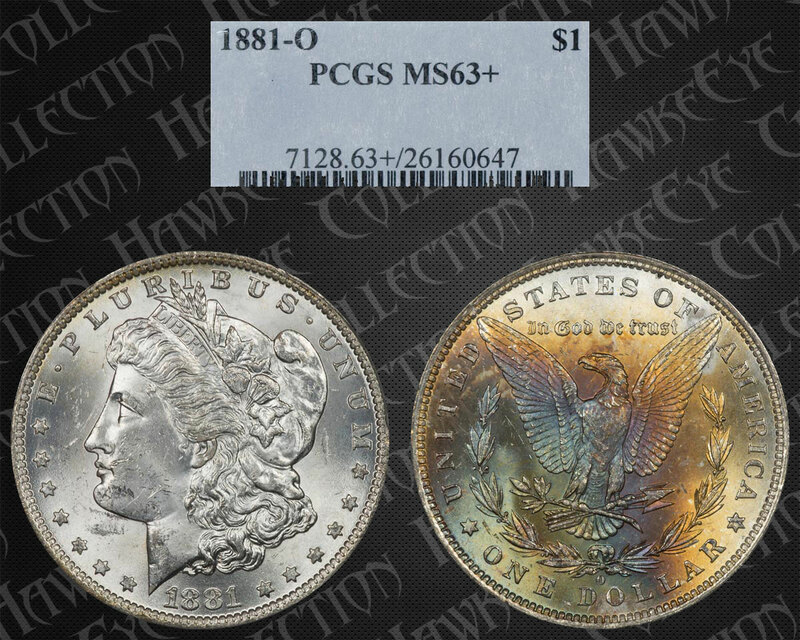 The iridescence of color in the coin really increases the eye appeal and also speaks to the genuine toning. Working from the upper right we see some lemon yellow, to sunset yellow, to orange. Then the color progresses through magenta, to magenta-blue, and to blue. It is difficult to determine the final colors because of the iridescence but they appear to be a blue/yellow mix.